IMPORTANT – Please understand that in order to carry out these transfers, we need to take the film out of the submitted cartridges and to put it on a spool (or spools). The empty plastic cartridges are of no further use and are therefore discarded. The film itself is returned with the completed electronic transfer, expect it returned on a spool (or spools). Below, you will find an article written by myself, telling you all about the history of the Polavision Film Cartridge. The first TWO cartridges To DVD for £25 (minimum charge) then simply add £6 for each additional cartridge. 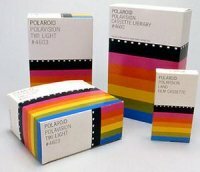 The Polaroid company was established in the middle of the 20th century by Edwin H. Land. His revolutionary invention ‘The Land camera’ was an instant success when it went on sale in the USA just before Christmas 1948, the stock was completely sold out almost immediately. The unique selling point for that time was that the camera could capture an image and then print it out almost immediately. This ability to view a print of the photograph within seconds of it having been taken was ‘miraculous’ in those days, half a century before the digital age made immediate viewing of photos an everyday event, taken for granted nowadays – even by my grandchildren since they were old enough to do it – say 8 years of age! Polaroid became a massive success story and the company diversified in many different directions, manufacturing a wide range of products. The Polaroid camera still flourishes in the 21st century, I often see professionals in the fashion industry using it on TV. However! The demise of the founder, Edwin H. Land was caused by him being perhaps a little ‘too clever’ and his failure to appraise the ‘home movie’ market in the late 1970s. 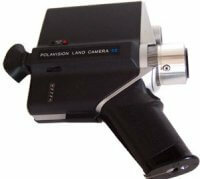 The “Polavision” home movie system was introduced by Polaroid in 1977. Like the Land Camera some 30 years before, it afforded the possibility for the user to immediately view the images that had just been shot – this against the long established home movie system of cine film photography, where the user had to wait for a week or more, while his film was sent away for developing by Kodak etc. 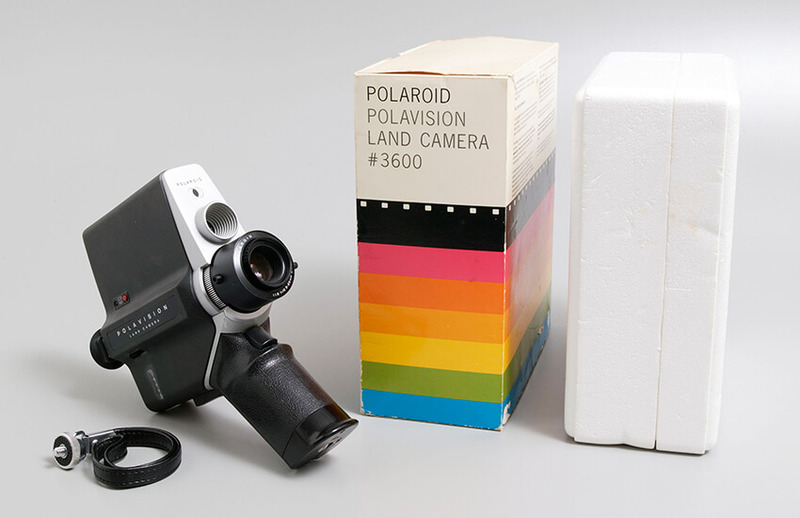 The Polavision film was contained within a plastic cartridge, which was inserted into the Polavision movie camera . The system was not brilliant! 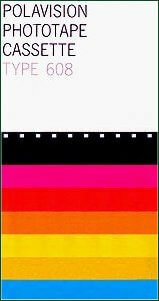 The film technology was complex and the images were not very bright – and they could only be viewed via a separate ‘Polavision Viewer’ which had a screen similar to a small TV set. The film cartridge was inserted into the viewer and the images could indeed be viewed within minutes of being shot. Polavision had no hope of competing with the new video formats, it was hugely expensive when compared to the cost of blank video tape and the film cartridge could only accommodate about 3 minutes of filming, compared to the hours of screen time that a video tape could record. Inevitably, the system was a financial disaster which resulted in huge losses forcing the resignation of the founder of Polaroid in 1980. We have been recommended by Polaroid for many years for this work – we still are! If you ring up Polaroid customer services and ask them where you can get your Polavision copied to DVD, they will recommend us. Please click HERE to go to our CINE FILM section to read other details, including FREE Title and FREE background music. OR Please click HERE to print out our order form.